One of the ways to make the most of an inherited IRA is to use what’s known as a stretch-out approach. 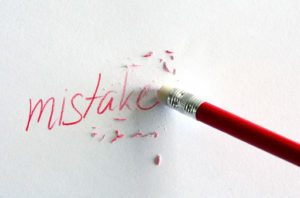 Some people make a common error of naming their own estate as the beneficiary of their individual retirement account. 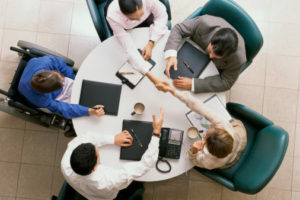 This means that rather than going to a person who could benefit from accumulated wealth over time and reduce taxation, your estate puts this in the position of passing this on to your beneficiaries in as little as five years, which can become problematic for you as well as the beneficiaries if you are not careful about it. A stretch-out approach is one thing to consider and contemplate as you go forward with your estate planning. This allows you to let your beneficiary stretch the length of time over which they will eligible to collect money from an IRA. This means that more growth can accrue overtime without income taxes chipping away at it. 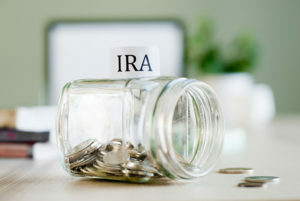 When you use a retirement trust and other powerful estate planning tools, the result for your beneficiary can be a long term and big inheritance, even if you believe that your IRA only has a modest amount inside. Working with the right estate planning attorneys is critical for identifying an IRA approach that has your best interests and your loved ones’ best interests in mind. Most people are aware that estate planning has benefits for everyone, but it is especially critical for seniors. 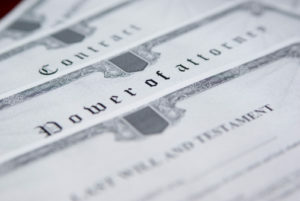 Do you already have a power of attorney? What does it cover? If your document is outdated or if you never created it, now is the time to revisit. You might be able to use a few different types of power of attorney, especially if you expect that your life plans may change and evolve in coming years. For financial and healthcare reasons, naming someone else may help you. 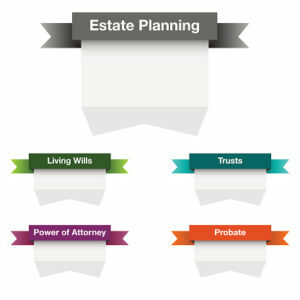 Although a basic estate planning might bring to mind a will, powers of attorneys should also be included in your plan. If your will was generated many years ago, there’s a high probability that things have changed. You might be missing current grandchildren, for example. There are two different types of powers of attorneys that should be included in your basic estate plan. The first is for healthcare decisions to allow someone else to step in and make medical choices on your behalf if you are unable to do so. The other most common type of power of attorney is a financial one, that enables someone else to keep your family’s financial life moving forward and paying your bills if something happens to you. You may wish to use other documentation and strategies as you put together your estate plan, but it is important to remember that these should all be created by an experienced and dedicated estate planning lawyer in Massachusetts. Have You Forgotten About the Intangibles in Your Estate Plan? Many times, people think very specifically about the physical objects or other items they intend to pass on to their loved ones but if you forget about intangible assets, you could be depriving your loved ones of something they cherish greatly. 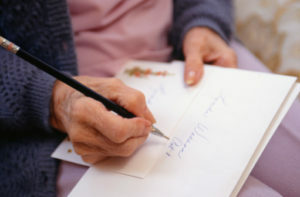 Your values, wisdom, important family traditions, stories and beliefs can all be articulated in a letter to your loved ones. Your possessions are not the only representations of your life. It’s hard to include everything in your overall asset list- it often takes people days and weeks to come up with a comprehensive one because they own so many things, and many of these intangible items haven’t been clearly outlined in a will. Your intangibles might not have significant monetary value, but it’s impossible to assess a cash number for what these might mean to your loved ones. That’s why they are well worth protecting. Whether you decide to take on a big project like producing an autobiographical documentary or writing a memoir, or keep your documentation process relatively simple with a short letter about your feelings and principles, this information can easily become a very valuable piece of your estate. Your loved ones wish to remember many different things about you. These representations of your heritage, life journey and your thoughts can be extremely important to family members working through the grief process. They can even become the foundation upon which your family members build their lives. As you develop a plan for your more tangible assets in the process of estate planning, do not neglect your legacy and other items that you wish to pass on in the form of your thoughts, feelings and hopes for your loved ones. Talk to a Massachusetts estate planning lawyer to learn more. The goal of most planning is to avoid leaving a mess behind for your children, be it financially, legally, or literally. A cluttered house, for example, is one literal issue that many people have to deal with. Decluttering and getting rid of your worldly possessions that are no longer necessary are at the top of the list for eliminating or reducing the literal mess and your stress level. However, you may also need legal and financial protections put in place by a knowledgeable estate planning attorney. Many people want their spouse or their children to take over in the event of a sudden disability but your children or spouse could be barred from doing so if you do not have the legal paperwork in place like a power of attorney and a living will. These advance directives may allow you to choose the people in charge in your life and avoid costly and lengthy court proceedings for guardianship in which the court determines who will be responsible for helping you. You can save money, time and the invasion of privacy and complications associated with a court proceeding. You can consult with an experienced estate planning attorney to learn more about how this can help you and your loved ones. 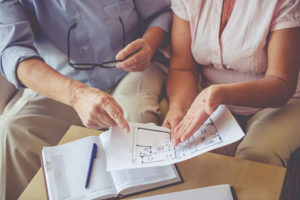 Doing your best to put together a comprehensive estate plan is certainly an important component of protecting your beneficiaries and the assets you have worked so hard to accumulate and build over the course of your life. However, people who may not have had a great relationship with you towards the end of your life might show up suddenly and make things more challenging for your family members. There are a couple of different things you can do to minimize the difficulties your family members may face if you were to suddenly pass away. The first is to enable the executor of your estate to immediately change the locks and secure your residence. You may also ask the executor to contact neighbors and to tell them to report any activity that happens at the residence. A trust or a will is also beneficial for preventing someone you did not expect from taking your property. A simple provision added to your will such as a no contest clause would disinherit anyone who contests the validity of a trust or a will. Furthermore, contest might be expanded to include any concealment of estate property or removal. If beneficiaries are told that the inappropriate removal or concealment of property could lead to disinheritance, they might be less likely to conceal these belongings. Another good way to avoid difficulties for your loved ones after you pass away is to simply have a conversation with them that the executor is responsible for all of your property. Ensure that all of your family members realize that no one is entitled to any of your property until the executor has decided that distribution is appropriate. Your lawyer can help you put together the right strategy for avoiding these common issues. Increasingly, more people are realizing the benefit of elder law planning and are setting up consultations with elder law attorneys to discuss mitigating their risks. However, there are opportunities for mistakes in this process if you are not knowledgeable about what to do. Looking ahead to the future is not always easy, but you must consider elder care and protecting your assets. 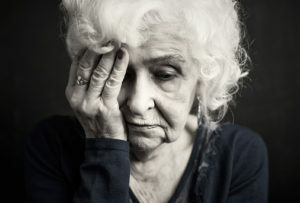 The first and most common failing of elder law planning include not to address all of the comprehensive issues that make up planning for your older years. Sadly, most people don’t realize what they’ve missed- instead, it’s their family members grappling with problems in the aftermath. Protecting your assets from the cost of long term care while also qualifying for government benefits that exist with that care. Choosing trusted individuals who are capable of managing your affairs if you are disabled. Protecting your inheritances for your beneficiaries from lawsuits, creditors and divorces affecting your children. Transferring your assets to your heirs in the manner that you want, when you want while also avoiding family disputes. If you are not able to manage your affairs at any point in time, you could become the subject of a guardianship proceeding in which a judge appoints a legal guardian to serve on your behalf. Taking your future into your own hands and scheduling a consultation with an elder law and estate planning attorney is one way to avoid this problem.